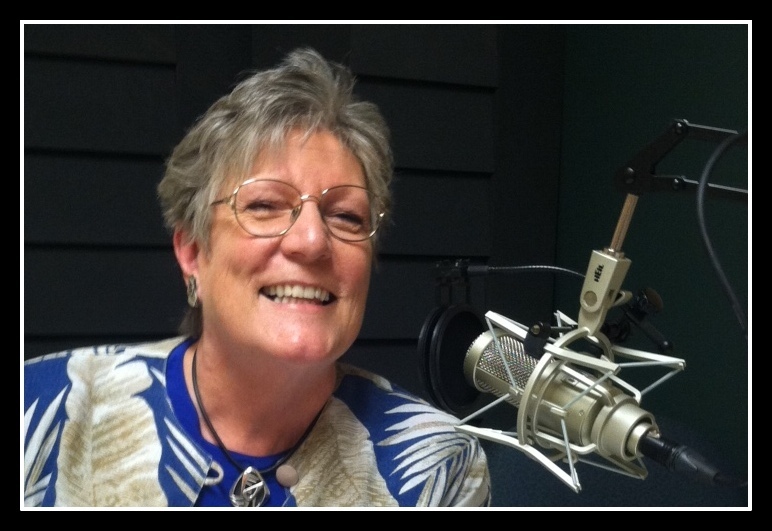 In this podcast interview, the Senior and Community Center director Sue Barrington discusses the “Collect Call Telephone Booth” in the lobby of the Center. It was created by the volunteer woodworkers at the Bainbridge Artisan Resource Network (BARN). 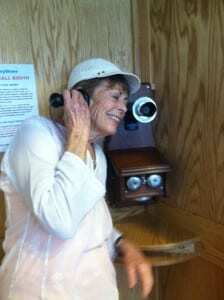 This hand-crafted phonebooth at the Community Center will automatically record your story. The “Collect Call” phone is there to collect calls in the form of stories that are automatically recorded when you pick up the antique replica receiver. You are invited to stop by and ‘make a call’ that could, for example, be a five-minute story in the style of StoryCorps on NPR. Some of these recorded ‘calls’ will be shared with the community. The Collect Call Telephone Booth is a unique and creative aspect of the larger “StoryShare” program co-sponsored by the community center, Historical Museum and BCB. There are classes on how to write your story and how to interview people and record their stories. And there are events where stories are gathered and shared. It’s about story telling as a means of building and preserving relationships. The magic StoryShare phone booth is the brainchild of Center director Sue Barrington. The Collect Call Booth is a unique way to record stories and anecdotes about the history of BI. Or you could record your comments at events such as weddings, reunions, community meetings or retirement parties held at the center. Stop by the Waterfront Park Community Center for some of the 70 programs taking place there, such as The Vintage Book Club, Adventures in Travel, or the Downsizing/Spring Cleaning discussions. For more information, come by and pick up the Center’s newsletter or call 206 842-1616, or peruse the complete catalog of activities at the Parks and Recreation District website. Credits: BCB host and audio editor: Joanna Pyle; BCB social media publisher: Barry Peters.